Today is a big UK Scrappers sponsor blog hop! I’m excited to be taking part in what is sure to be a popular event, and am definitely looking forward to checking out the other sponsor posts. If you are visiting from the UKScrappers Sponsor Blog Hop you may have come here from PAPERMAZE. After commenting (and BE SURE TO MENTION YOUR UKS USER NAME in your comment) hop on to SCRAP 365. If you lose your way, hop to the UKS post to see the whole linked list. Be sure to reply in that thread when you complete the hop! Make sure you reach the bottom of this post because I have a prize to give away and a special offer for hoppers! Details at the end! Note: Comments on this blog are moderated, and will be checked and approved regularly throughout the day. I have created a basic tutorial for some fairly simple colouring with alcohol based markers. The step by step photos below cover colouring the whole image, from skin through to grounding the image. Bear with me, there are lots of photos! Use a light hand and lay colour down gradually. It is easier to add more colour than it is to take colour away, and you don’t want to over saturate the paper. Colour in light feathered strokes/flicks rather than in a circular motion. This will help you to avoid over saturating the paper and will make blending easier. Practice your strokes on a piece of scrap paper and try to find a grip you are most comfortable with for holding the marker while doing this. Choose a smooth uncoated paper. My preference is for Make it Colour Blending Card. Don’t give up too quickly! An image will go through stages of looking messy or a little weird. Persevere and keep colouring, the image will start to take shape and come together. Most mistakes can be fixed – this will be easiest if you use a light hand as mentioned above. When assessing your colouring and evaluating areas that need more work, hold your colouring at arms length. Don’t judge your image from very close up. Use an object or a pencil mark on your paper to help you remember your chosen light source. Stamp your selected image on a suitable paper/cardstock using an ink that is compatible with alcohol markers. My personal preference is for Make it Colour Blending Card, as it stands up well to a lot of layering. I also use Memento Tuxedo Black ink with all alcohol based markers, as it will not smear. The image in this guide has been coloured with ShinHan Touch Twin Markers, but the same technique applies for other brands such as Copic. I have chosen a relatively simple image – Sweet Thinkin’ Mae from the Some Odd Girl Stamps clear stamp range. The Some Odd Girl images are a great size with plenty of space for colouring, and as the details aren’t too fine they are great to practice on and develop your colouring skills. Before colouring, decide which area to tackle first. On a character image I usually begin with skin, followed by hair, and then clothing. This is firstly because the skin tends to be the most “routine” area to colour, especially if you often colour stamps of a similar style. The last thing you want to do is spend a significant amount of time colouring an image, only to spoil it with a mistake on one of the less time consuming areas. Secondly, as you colour the image it can go through stages of looking messy and a bit strange – as you build up the colouring the different areas come together. Choose your light source (in the above image I have chosen to have the light coming from the left hand side), then begin mapping out the areas you envisage being the darkest using your LIGHTEST shade. This will give you a nice base for the darker markers to sit on and allow you to create a nice blend. Plus, it helps to have a guide. Leave plenty of white space at this point – you will be gradually building up colour and layering, and you don’t want your highlight areas to be too dark. Lay down your MEDIUM shade over the areas you mapped out in the previous step, covering them completely. Do this with a light touch, taking care not to lay down too much ink. Remember – build the colour gradually. Add your darkest shade sparingly where you feel the shadows would be deepest. Again use a light hand and this time only lay down a fine line of colour. Take your MEDIUM shade again and blend the dark colour out towards your light areas. Use a light feathering or flicking motion. Don’t colour too far into your light areas. With your LIGHTEST shade continue to blend out towards your highlight areas, still using a light hand and a feathering/flicking stroke. Try and avoid going over your darkest shade, as the light shades can start to remove some of the colour, and depending on the markers you are using this can lead to a speckled/patchy appearance. Repeat the above steps until you are happy with the result. Just be careful not to over saturate your paper or you may end up with a shiny or blotchy appearance (Make it Colour Blending Card stands up to quite a lot of punishment in this respect, which is why I love it). At this stage I like to colour in the rest of the facial details – eyes, cheeks, lips. TIP: Sometimes on a stamped image the solid areas such as the pupil of the eye can have a slightly grainy appearance. I like to use a dark grey marker (e.g. CG8) to go over the pupil area. This can really help to lift the face and make it pop. Tackle the hair in much the same way as the skintones. The main difference is that if you want to achieve a vaguely realistic hair effect, you should colour in fine strokes, following the direction of the hair. Use your lightest shade first to create the base. Now take your medium shade and start to build up the colour and the strokes, so that you get a strand like appearance (this will be fairly bold, we’re not trying to colour individual strands here, rather creating the suggestion of hair). Then take your darkest shade and add more fine strokes over the top, maintaining a light touch and not covering too much of the previous shade. Return with your medium shade and soften the strokes a little. Don’t blend out too much as the strokes will disappear and you will lose the texture. Depending on the image and the scale of the hair you have to cover, you can repeat these steps until you are happy with the result. Your character’s outfit can be tackled in much the same way as the skin and hair, applying the same colouring techniques to build up colour and depth. Pay attention to the detail in the image, as often there will be clues that help guide your colouring. For example on Sweet Thinkin’ Mae’s dress there are little crease lines – follow these and add in a few of your own to build up the detail in the dress and create interest, as with the hair and skin, do this gradually and with a light hand. When colouring an outfit that has different elements with different colours, concentrate on one colour area at a time. With your light source in mind, use grey markers to create a shadow on the floor to ground your character. This really helps to finish it off. Finally, give your image a once over and pick out any deep shadows and cast shadows with greys i.e. where the hair goes behind the head, underneath the bow in her hair, along the hair hanging over her face, under the hem of her dress. Use cool greys over cool tones and warm greys over warm tones. You can also use a white gel pen or white acrylic paint and a brush to create the highlights in the eyes if applicable! The Some Odd Girl characters are great for this with their large manga style eyes. I leave this step till I have completed colouring as you should avoid colouring over paint with your markers. That’s that! I hope that this post has been useful in some way, and perhaps given you some encouragement to get to grips with your markers. If you are looking to improve your marker skills, and indeed your colouring with any medium, I highly recommend studying the work of people you admire and trying to emulate their results. Study carefully to see where they added shadow detail and how they approach colouring hair or folds in clothing. Check out their notes to find new marker combinations. Above all else – practice! The more you practice and play with your markers the more comfortable you will be with them, how they behave and what they do! I do have some colouring videos available on my Youtube Channel, which may also be of interest! Today I am giving away a 25 sheet pack of MAKE IT COLOUR BLENDING CARD to one lucky commenter on this blog! I will draw a random winner from the comments left. Draw closes at MIDNIGHT tonight, so be quick! Make sure you leave your email address in the appropriate box when commenting (it will not be displayed to the public) so that I can contact you. As a special offer for today’s hoppers I am offering FREE P&P for UK based orders over £10! Simply enter the code UKSBLOGHOPJUL2012 in the coupon box at checkout and you will enjoy free P&P! Susana Loves Stamps – Monsters & Sassy Kids! Some Odd Girl – Summer Fun Release! Dies by SCACD – gorgeously detailed new dies! Susana Loves Stamps – fantastic new Mixed Media stamp collection! Gorjuss – New Rubber Stamps & Clear Stamp Sets! 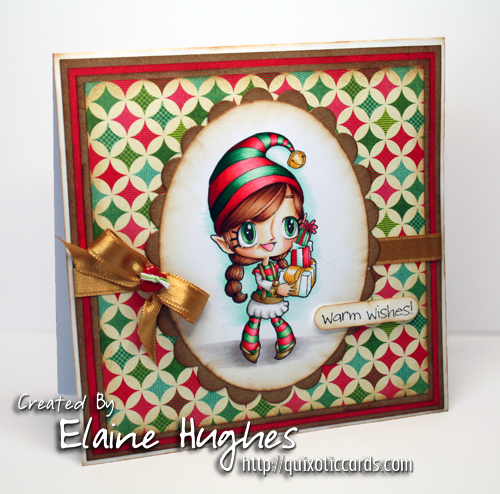 This entry was posted in Tutorials & Videos and tagged Colouring, Cute, Make it Colour Blending Card, Markers, Shinhan, Some Odd Girl, Touch Twin, Tutorial on July 3, 2012 by Elaine. Touch Twin Challenge TTC19: It’s All About The Hair! Now that Taika is over her little veterinary ordeal (well, just about – the stitches should come out on Monday), and my stash is more organised, I’ve been feeling a bit more creative. Yesterday I stamped up a couple of little projects I’ve been itching to create, and spent some time just colouring. It’s amazing how relaxing colouring can be when there’s no real pressure. It just so happens that one of my little projects fits in perfectly with the latest Touch Twin Markers & More Challenge, which is to colour an image with HAIR! You could use images of people or animals. Make sure you join in with the challenge – you can use any medium and be in with a chance of winning some Touch Twin markers to play with! To enter, visit >this post< on the challenge blog. Entries must be in by 23rd June 2012. My project is a little set of notecards. I love stamping and masking the Stamping Bella Polaroid Stamp, it is just so fun! This time I used it with some of the adorable images and sentiments from a few of the Some Odd Girl clear stamp sets and I of course stamped it all on Make it Colour Blending card before colouring with my ShinHan Touch Twin Markers. This entry was posted in Cards and tagged Colouring, Cute, Make it Colour Blending Card, Markers, Polaroid Stamp, Shinhan, Some Odd Girl, Touch Twin, Touch Twin Challenge on June 15, 2012 by Elaine. Some Odd Girl & ShinHan Touch Twin Markers! 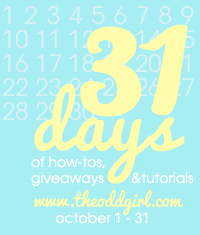 Note: this post has already been shared on Kristy’s The Odd Girl blog as part of her birthday celebrations. I’m sharing it here now, in case some of you missed it! Today I’ve got a card and three videos to share! So many people have been asking me about the ShinHan Touch Twin Markers, that I thought this would be the perfect opportunity to demonstrate how well they work, as well as showing off one of Kristy’s awesome images into the bargain. I had a lot of fun creating the videos, so I hope you enjoy them and find them useful. Note: The colouring style and techniques I use are totally applicable to other brands of alcohol marker, and the ShinHan Touch Twin Markers work well with other brands (I know, because I’ve tried them together), so they make a nice addition to an existing marker collection. The markers are available in both brush and fine point versions (brush markers have a white barrel, fine point have a black barrel). I use the brush markers in my video, as that happens to be my general preference for most of the colouring I do. So, first off, here’s my card! I chose to colour the super sweet “Warm Wishes Tia” from the Some Odd Girl range of clear stamps. Tia was so much fun to colour, and she looks SO cute. The sentiment is also from the Warm Wishes Tia set (which includes an adorable penguin too). I coloured Tia with ShinHan Touch Twin Markers on Make it Colour Blending Card. The yummy papers are My Mind’s Eye 12 Days of Christmas, and I tied the bow with the Bow-Easy template. I distressed the edges of all the layers with Distress Ink – Vintage Photo. On to the videos! I have broken the colouring process into three videos, so you can easily dip in and out of them as you like. They aren’t perfect, but I hope you find them somewhat useful! Hopefully they will give you an idea of how well the Touch Twin markers work, and why I’m so thrilled with them! That’s it from me for today, hope you’ve enjoyed this post! This entry was posted in Miscellaneous and tagged Christmas, Make it Colour Blending Card, Shinhan, Some Odd Girl, Touch Twin, Tutorial, Videos on October 31, 2011 by Elaine. Throughout the month, Kristy from Some Odd Girl has been celebrating her birthday with a series of fun guest tutorial posts on her blog – The Odd Girl. Today it’s my turn, and I’m sharing a few colouring videos showing the Touch Twin Markers in action! Once again, Happy Birthday to Kristy, and a big thank you for asking me to join in the celebrations! It has been so much fun getting to know Kristy over the past months, both personally and as a UK stockist for the Some Odd Girl clear stamp range, and am looking forward to more fun with Kristy and her fab range of stamps in future! Hope you enjoy my post, which you will find >HERE<. This entry was posted in Miscellaneous and tagged Christmas, Colouring Video, Make it Colour Blending Card, Shinhan, Some Odd Girl, Touch Twin, Tutorial, Videos on October 22, 2011 by Elaine.